If you're looking for a great price on a new Mazda, and a car dealership you can trust, take a quick drive from Aurora to Sill-TerHar Mazda. Whether you're in the market for a new or used car, the friendly sales associates at our dealership will guide you through a stress-free car shopping experience that puts you in control. When you walk through our lot you'll quickly notice that we offer generous dealership discounts on all of our models. What you might not recognize at first glance is that you can save even more with our auto financing solutions. 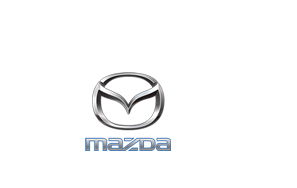 Regardless of credit history, our car loan and Mazda lease specialists will work with you to lock down the lowest interest rates available in Aurora. What's more, we stay dedicated to you long after you've returned to Aurora. The technicians at our auto repair and car parts center are standing by to keep your vehicle running like it did on day one, for as long as possible. Our Mazda and used car dealership near Aurora will be on the right.